This Tapioca Pudding Recipe is a traditional comfort food. This creamy homemade dessert is quick and easy to make. Grandma would be so proud! 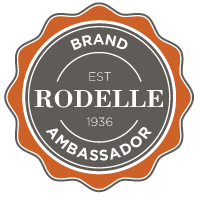 I have been chosen for an amazing opportunity to partner with Rodelle as a brand ambassador. 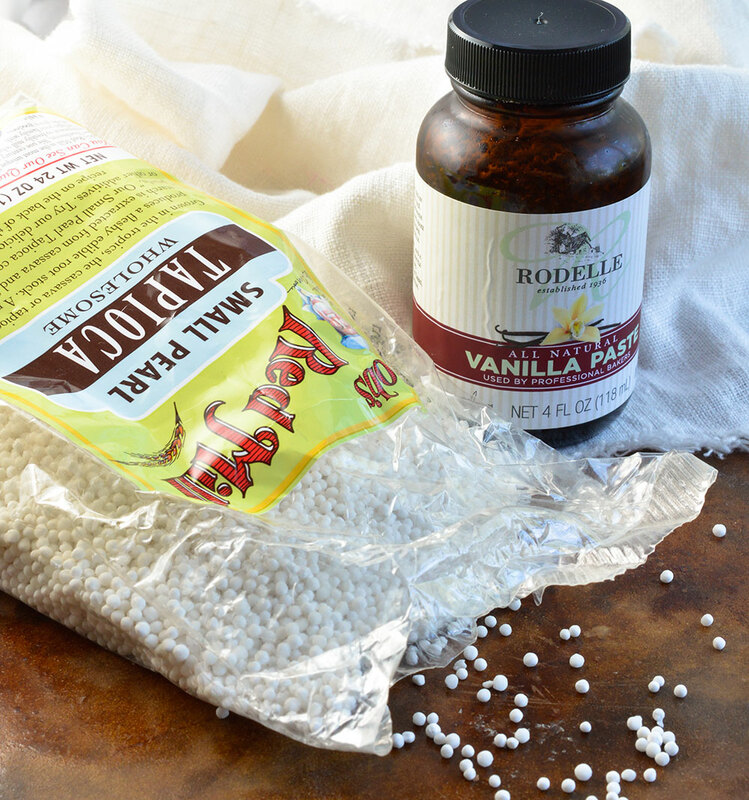 Not only will I be highlighting their high quality vanilla in my recipes, but I will also be sharing some of the other Rodelle products. They have some awesome spice blends, extracts and cocoa. The most important thing that I have learned about cooking over the years is that quality does matter. You can really tell the difference when using high quality ingredients, especially vanilla. Never, ever, ever, skimp on the vanilla! A while back I was asked by Rodelle what my favorite dessert was. Without hesitation I answered Tapioca Pudding. It was a childhood favorite and apparently I still considered it to be at the top of the list. My answer was strange considering I had never made tapioca pudding from scratch and rarely ate it. I guess I figured something so delicious would be difficult to prepare. I was wrong. 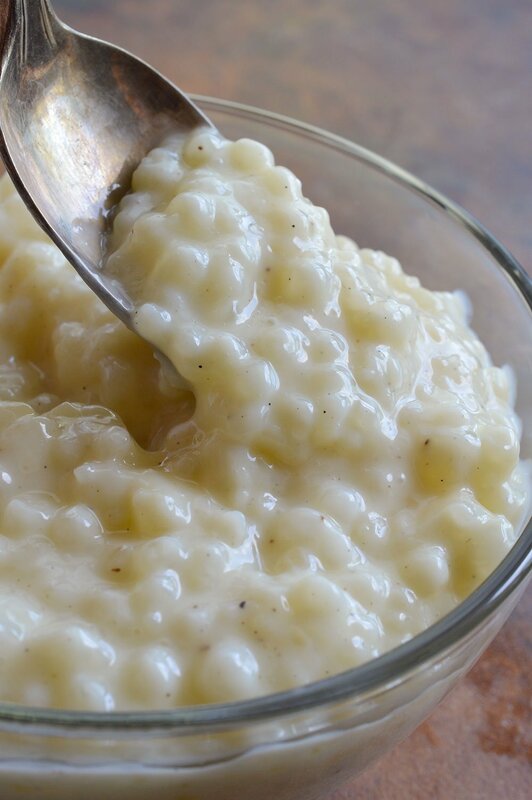 I became obsessed with homemade tapioca pudding! 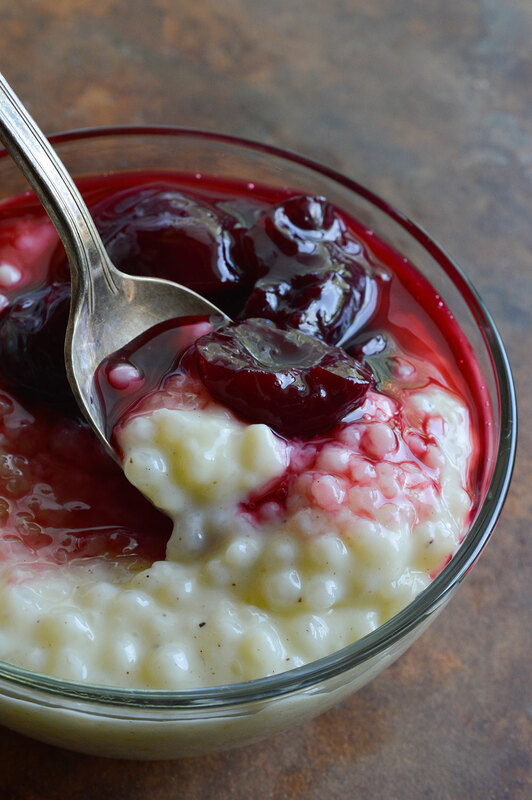 Making it several times a week until I perfected it with this Classic Tapioca Pudding Recipe. 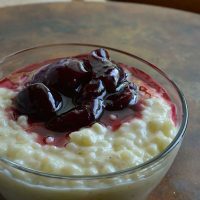 Just a simple super creamy tapioca pudding with amazing vanilla flavor, thanks to Rodelle Vanilla Paste. Vanilla Paste is my #1 Baking Essential. It is the difference between a good dessert and a Mind-Blowing-Life-Altering dessert! Yes, it is that good. The most difficult thing about making tapioca pudding is finding the darn tapioca pearls. I stumbled upon them at Big Lots of all places. Weird. 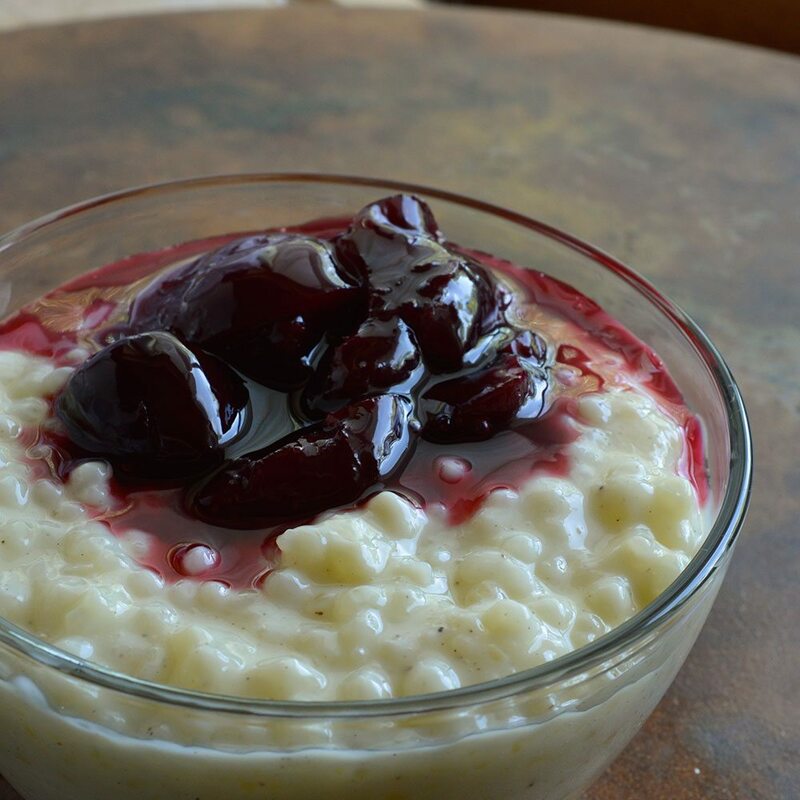 If you have never tried homemade tapioca pudding, well you are in for a treat. The store bought variety just doesn’t even come close. 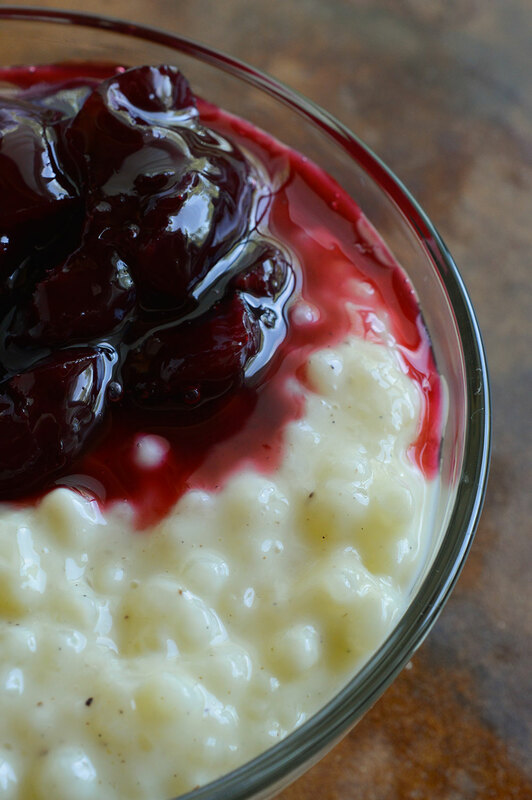 This Classic Tapioca Pudding Recipe is creamy, dreamy and oh so vanilla-y. Pure comfort Food. I don’t care that my favorite dessert is a Grandma-Food. I guess I’m an 80 year old woman trapped in the body of a 35 year old. Eat this tapioca pudding as is. 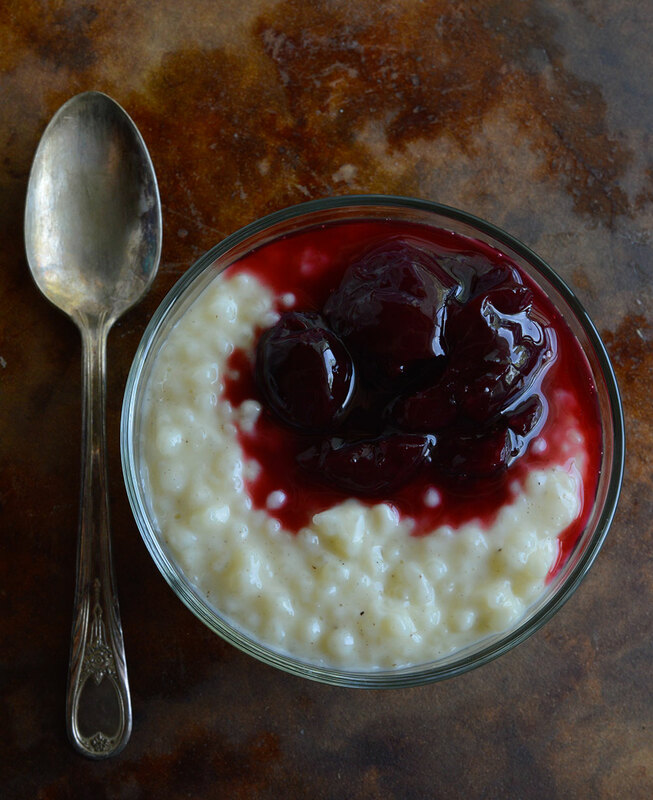 Or top with this unbelievably flavorful Homemade Cherry Syrup. It is a perfect combo in my humble opinion. Add 1 cup whole milk and soak for 15 more minutes. Vigorously whisk remaining milk, egg yolks, sugar and salt until yolks are completely incorporated. Transfer to a 3 quart pot over medium/low heat. Heat and stir frequently for 15 minutes. Do not walk away from pot and stir almost constantly the last 5 minutes. Remove from heat and stir in vanilla paste. Transfer to airtight container. Refrigerate 4+ hours. Tapioca will thicken more as it cools. Recipe yields approximately 3½ cups. Isn’t tapioca just the best? It reminds me of childhood too. When do I add the vanilla that your advocating ? Thanks for the nice recipe. Reminds me of my mother’s puddings. Awesome! Tapioca pudding is the best! Thank you for not just taking the Bob’s Red Mill directions word for word and posting them as your own recipe. Thank You so much for the pudding recipes. I too am old fashioned-I am a bit older than you are- My mom used to use tapioca in her fruit pies-especially gooseberry- Wouldn’t have a recipe or two? Refrigerate??? For me, yummy WARM tapioca is the best. I grew up on minute tapioca and didn’t know much about tapioca pearls. When I was in the hospital, they brought me some sugar-free Kozyshack tapioca, which is made with pearl tapioca. It was yummy and chewy, and I never had that before. But I want to make this and eat it warm with a teeny bit of cinnamon and nutmeg. I just made this recipe with 2 8 oz choc milk from bottles bought for a Sunday School class. 4 cups fluid doubled this recipe with the following tweeks. 1/2 cup sugar, 1/4 cup baking chocolate. 1/4 tsp instant coffee. My tapioca was medium pearl. Instead of soaking in water, I just put choc milk into the cold pan and soaked 30 mins stirring whenever I went through the kitchen. Added rest of listed ingredients. Brought to boil, stirring constantly, turned timer on for 15 mins and turned burner down as well, slow boil, stirring until about 12mins done. Added 1/2 stick butter, and kept stirring until the timer went off. Added TBsp vanilla. Not a drop left. I too grew up with this yummy treat. My mom always made it like this as well, but would whip up the egg whites that would otherwise be discarded. Once they reach that lovely near stiff consistency she would fold them into the slightly cooled pudding. She would then serve to us….. OMG, it’s like licking heaven off a spoon!!! !